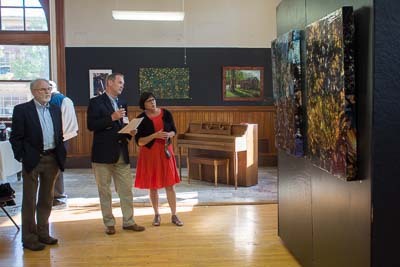 There was a great turnout for the opening of the Third Annual Art and Earth juried exhibit last night in Martinsburg. 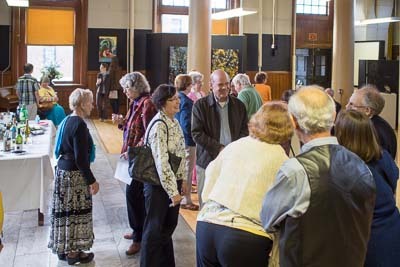 The exhibit, sponsored by the Berkeley Arts Council, is on display in the gallery space at The Arts Centre, located at 300 West King Street in Martinsburg. 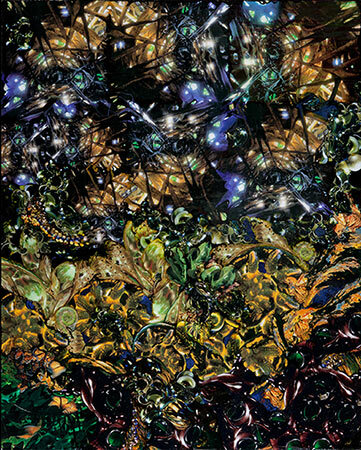 The exhibit is open Fridays 2-6pm, Saturdays 12-6pm, and Sundays, 12-3pm through May 11. Ten awards were announced and certificates were presented to the artists who were present. The Best in Show award went to Cathy Wilkin of Harpers Ferry, West Virginia for her “June 14” work in mixed media. A complete list of awards and participating artists is available on the Berkeley Arts Council website. The reception was very well attended and included participating artists from Georgia and Tennessee. 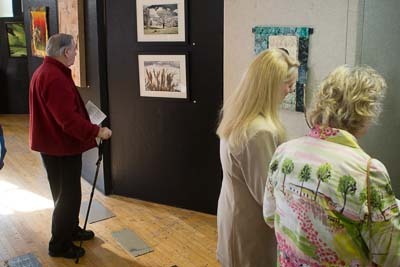 ← Third Annual Art and Earth Juried Exhibit Opens April 20.